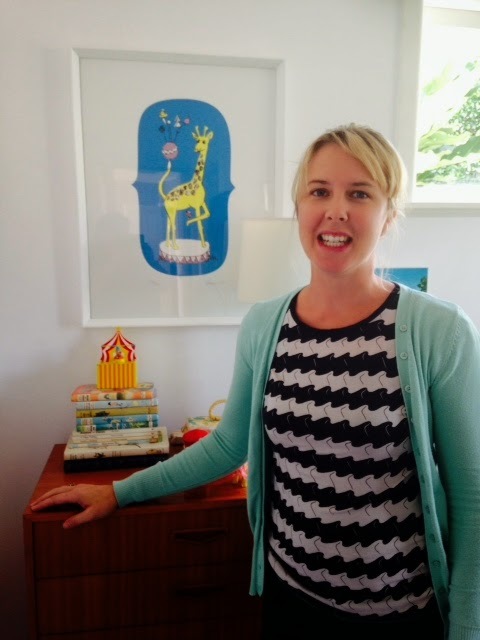 the designer and printmaker behind-the-scenes at The Art Room. she kept this interest while spending many years working as a Graphic Designer. and established The Art Room so she can make work from home. 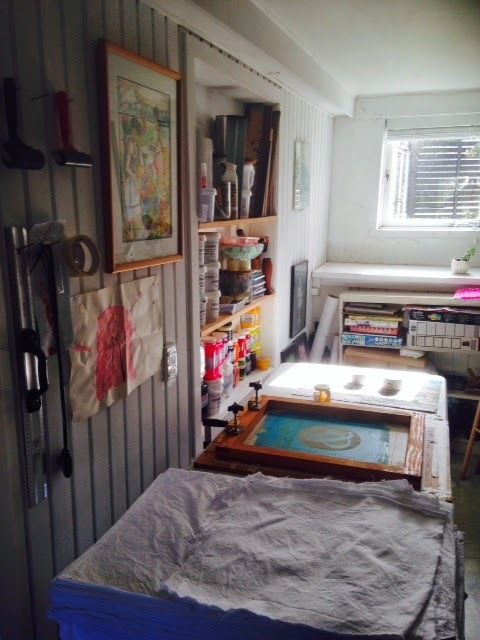 before heading down to the 'Print Room' (Laundry/Studio under her house in Beach Haven). all designed and hand printed herself. so she can roll it into the corner when not using it. Once tucked away it becomes perfect for stacking up paper or cushions to get them out of the way. 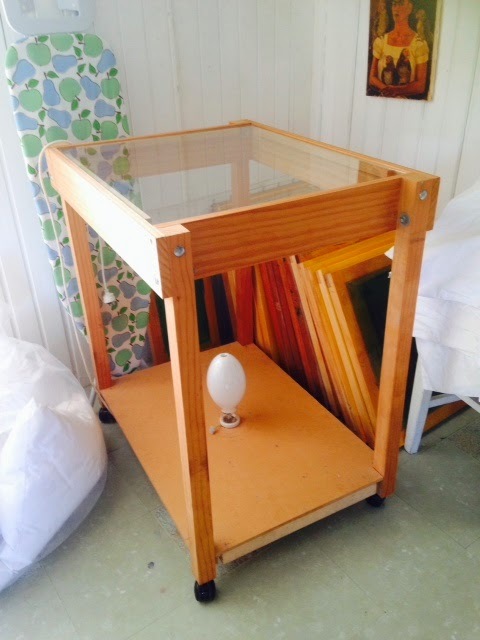 with a UV bulb set into a base board at the bottom and a pane of glass at the top. For printing, Hayley uses a plywood board (slightly bigger than her screen) with hinged clamps at the top. It sits on top of a trestle table so can be moved and stored when wanting the table for other things. rulers, tape, roller, wooden spoons, scissors, and countdown timer for heat setting. Now they’re within reach, but not in the way of the ink tubs. Hayley says her Flash Dryer is easily her most expensive but most loved piece of equipment. She uses it to heat set her fabric work, cutting down ‘ironing’ time by two-thirds! a vast improvement from her old fold-up clothes lines that could only fit 10-12 items! (brought to you by Canterbury Art Teachers' Association). where you can list all the printmaking tools & equipment you want to sell. postage costs and/or which part of the country if it needs to be picked up. looking at monoprint and collage techniques and how to develop a series of prints. Cost: $240. Some materials supplied.